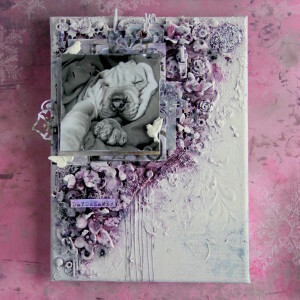 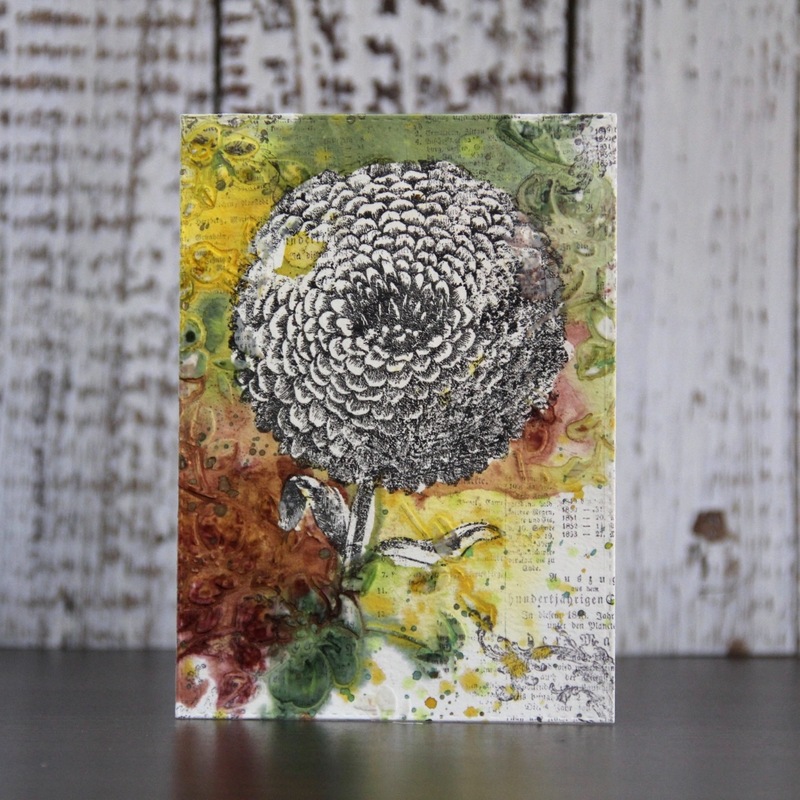 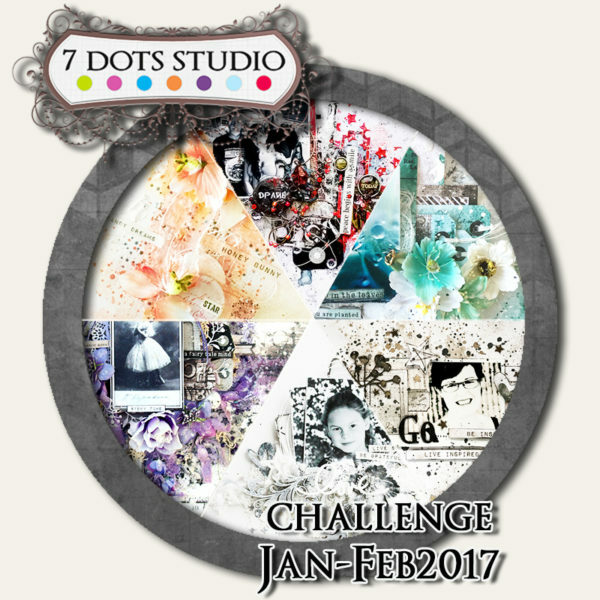 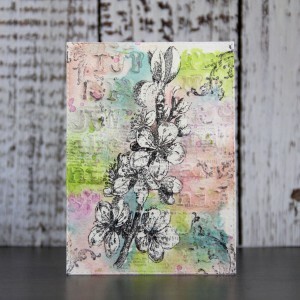 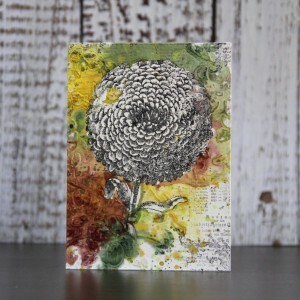 this canvas is for January Challenge – Monochromatic at 7 dots studio. 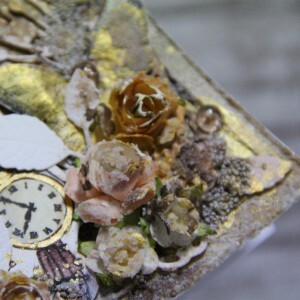 Creating of this canvas was really adventure. 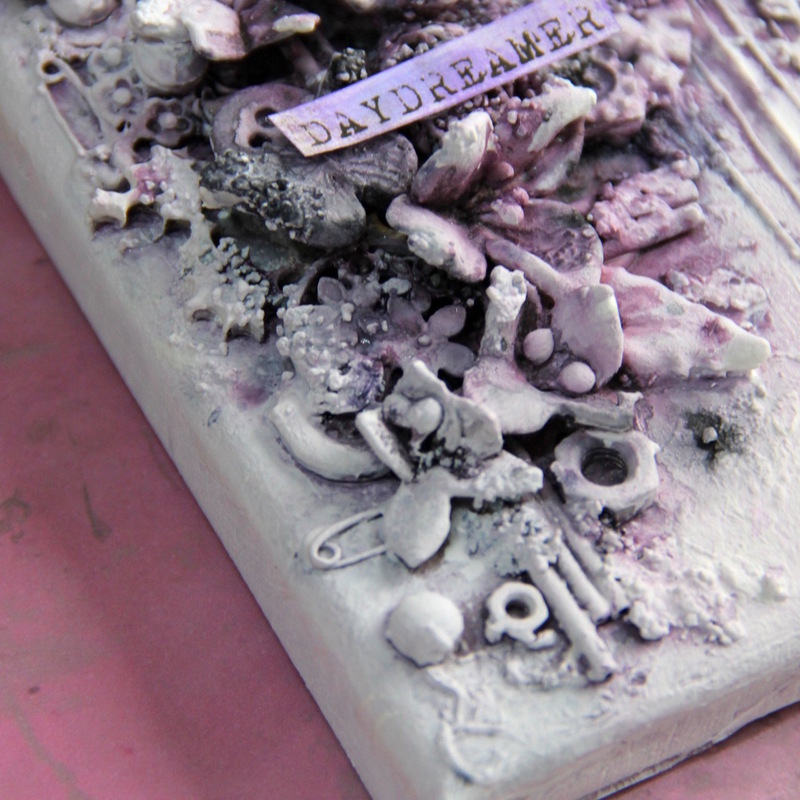 I wanted to have canvas in brown or grey tones but I accidentally took spray which looked like dark and it was dark purple. So I changed plans and made this monochromatic canvas Next time I really need to check my spray swatch! But on the other side I really like how canvas looks like in purple. 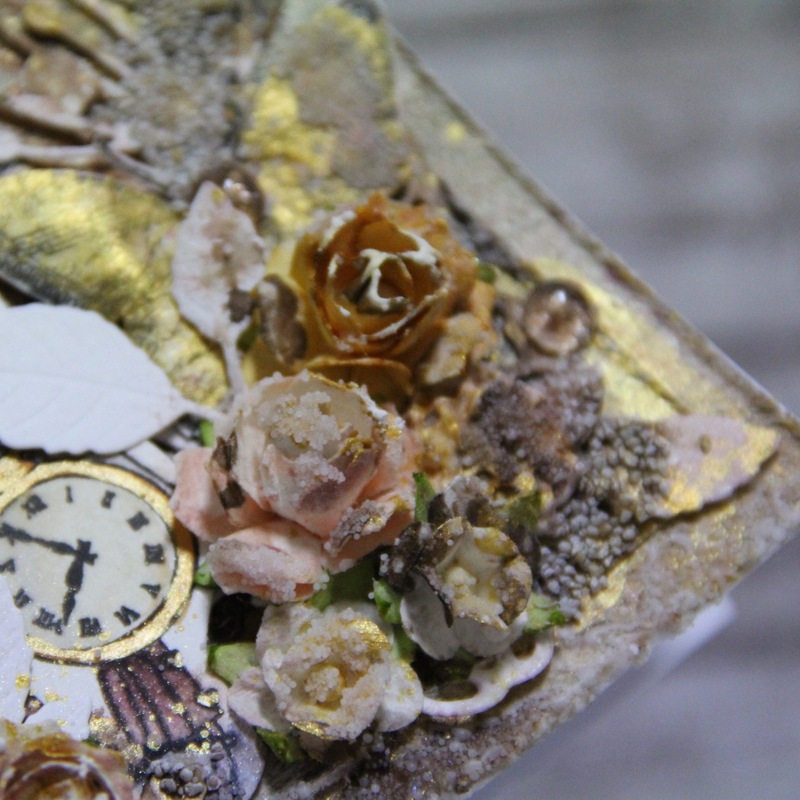 I made canvas also for my studio, I have quite big studio with plenty of white space on walls so I decided to make more art to decorate it. 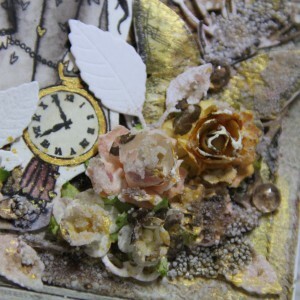 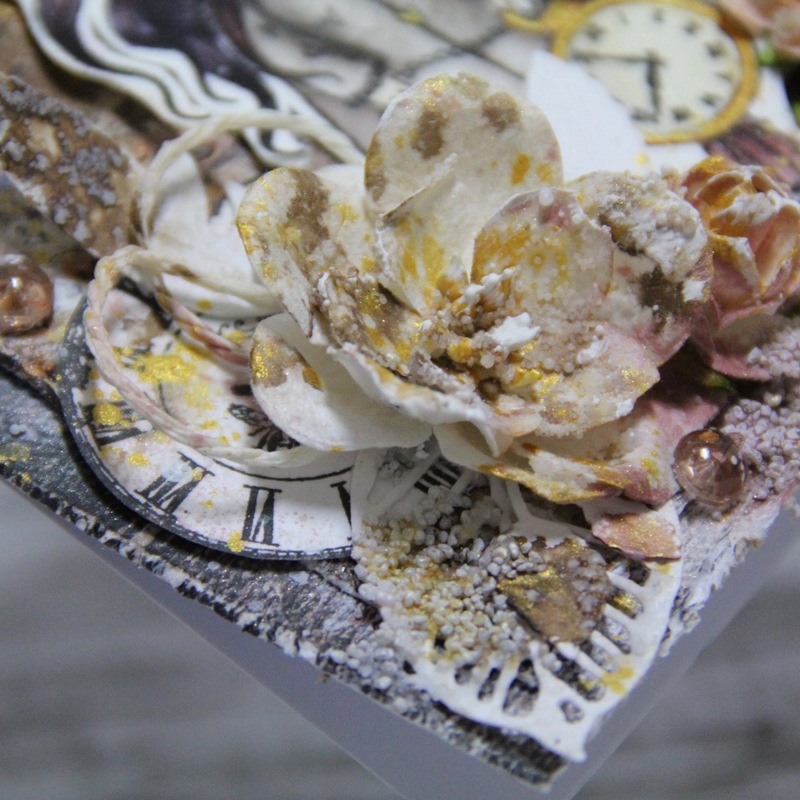 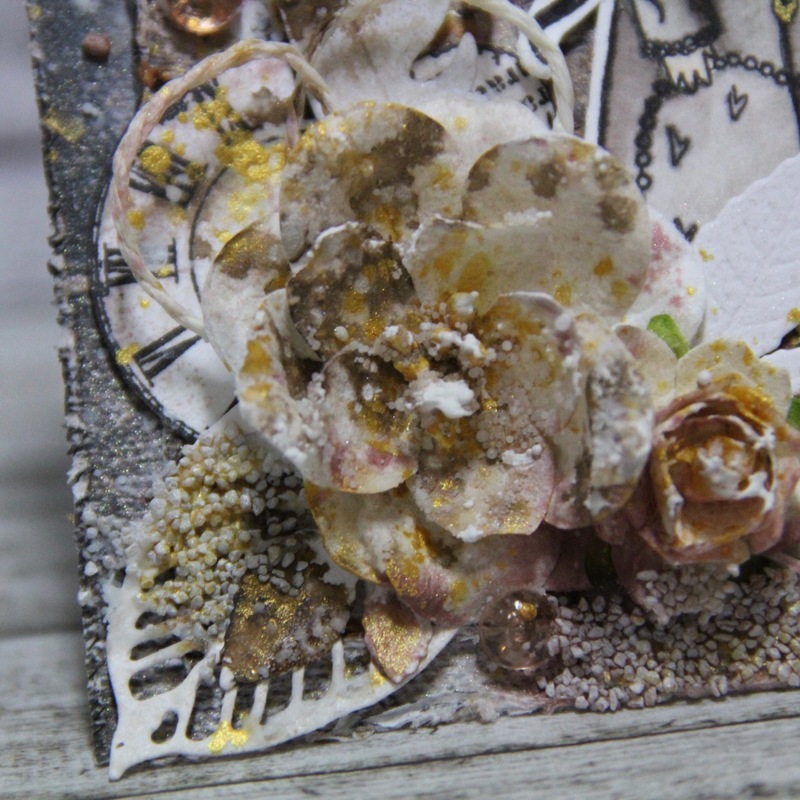 embellishment – what I found in stash – buttons, rest of some chipboards, some heavy embellishment from hardware shop, many hand made flowers from light Deco clay, some resin roses, some beads, iron wire, zipper …. 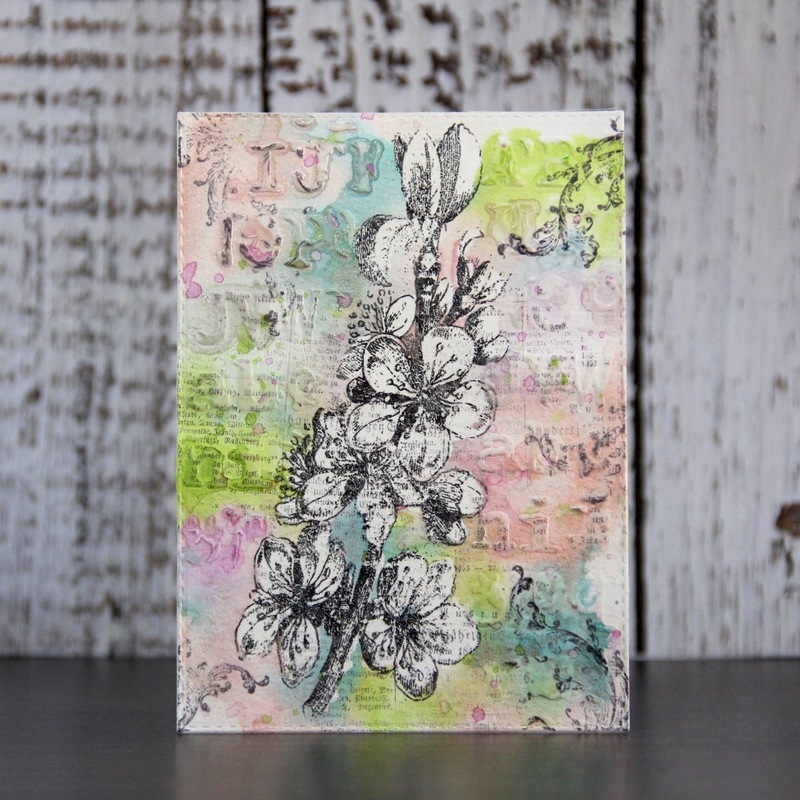 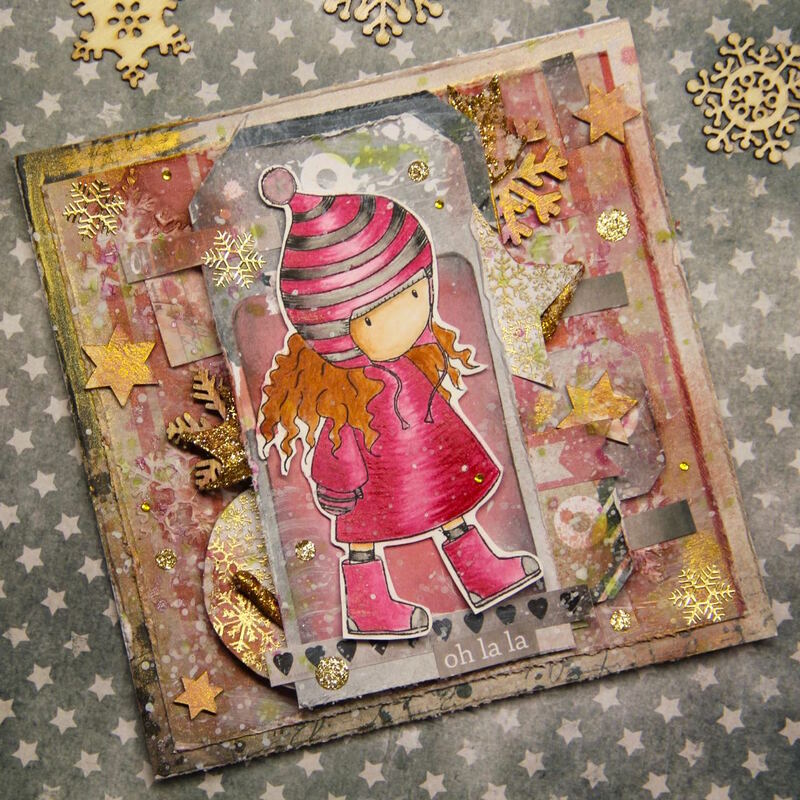 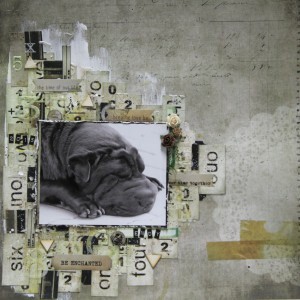 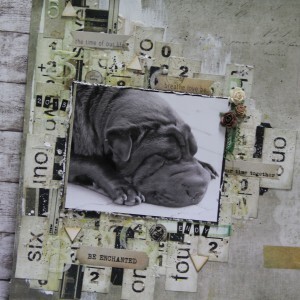 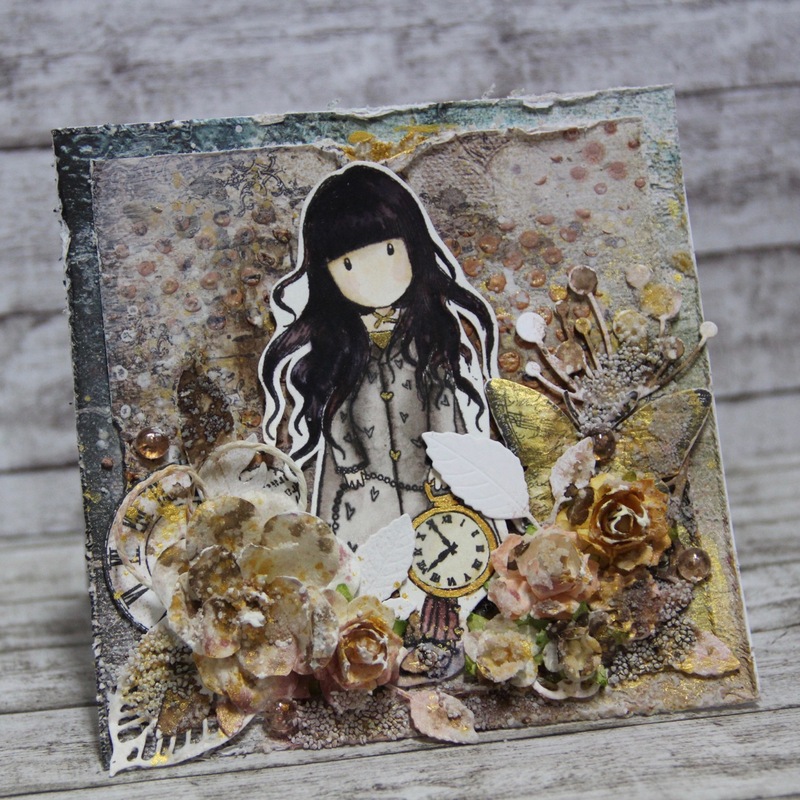 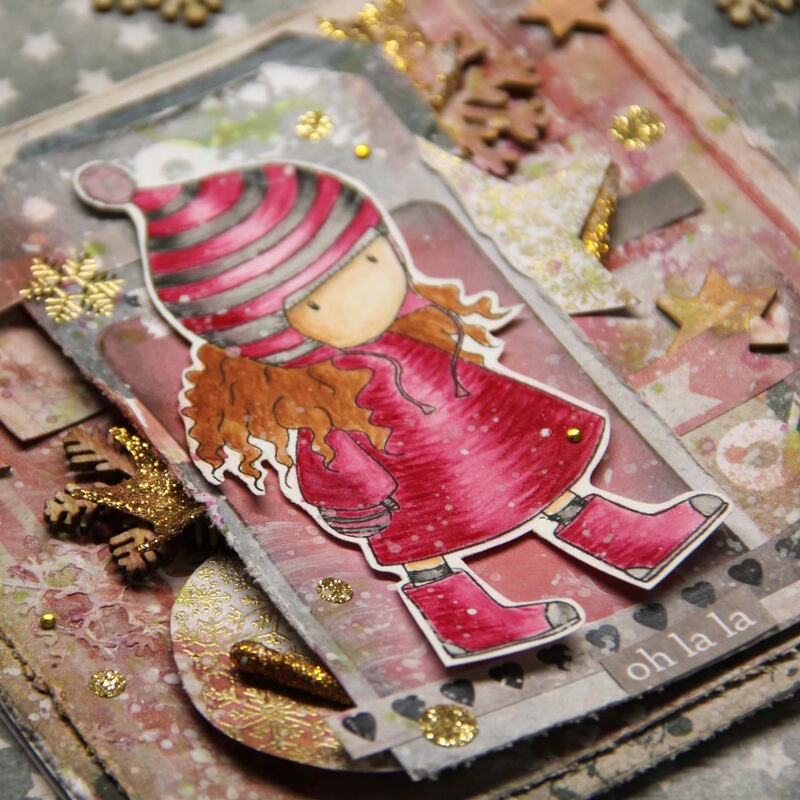 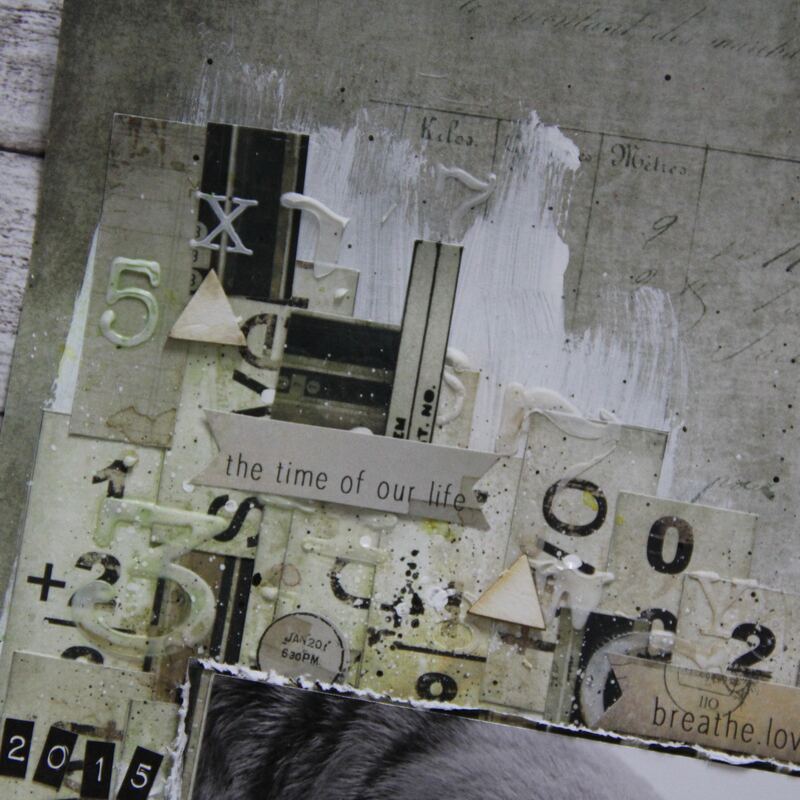 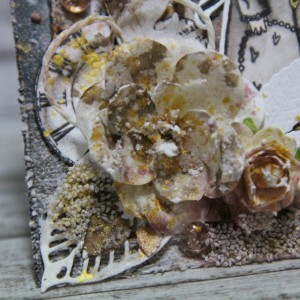 This entry was posted in Canvas Corp Brands, Frantic Stamper, Mixed media and tagged 7 dots studio, Challenge, Finnabair, frantic stamper, mixed media, Tattered Angel. 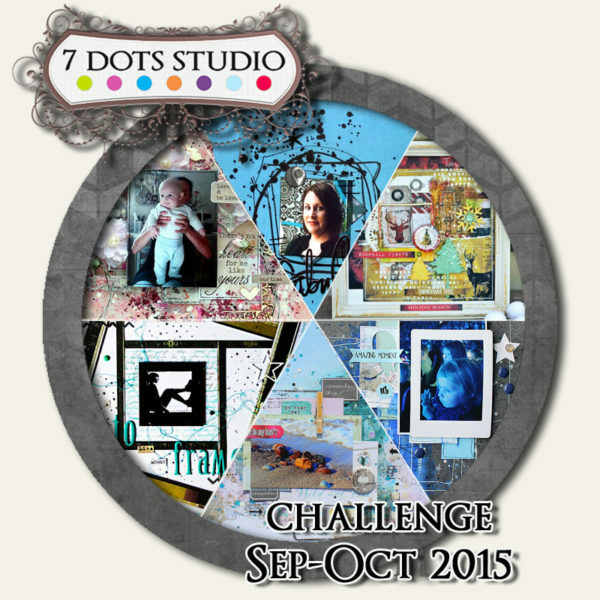 this layout is for September challenge by 7 dots studio. 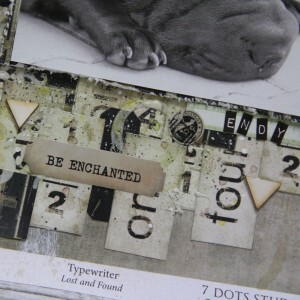 I used the newest collection – Lost and found. 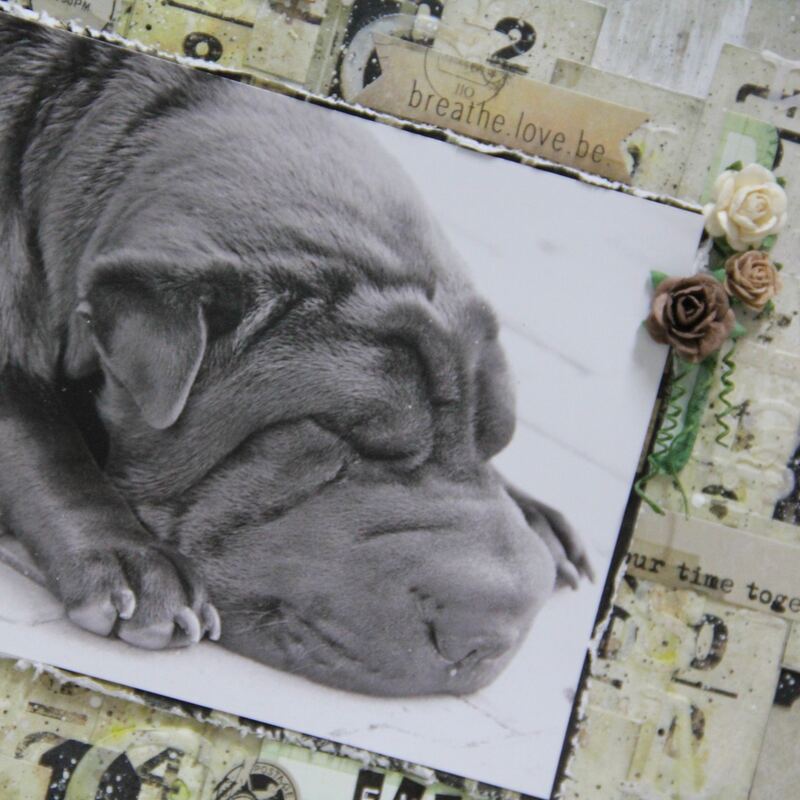 I made frame around my photo with numbers All are hand cut from 6″ paper (I cut it from 2 and half papers ). I also used some stickers from the same collection. 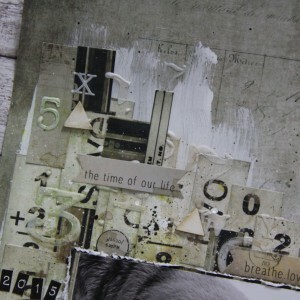 I used my own stencil with numbers and with letters. 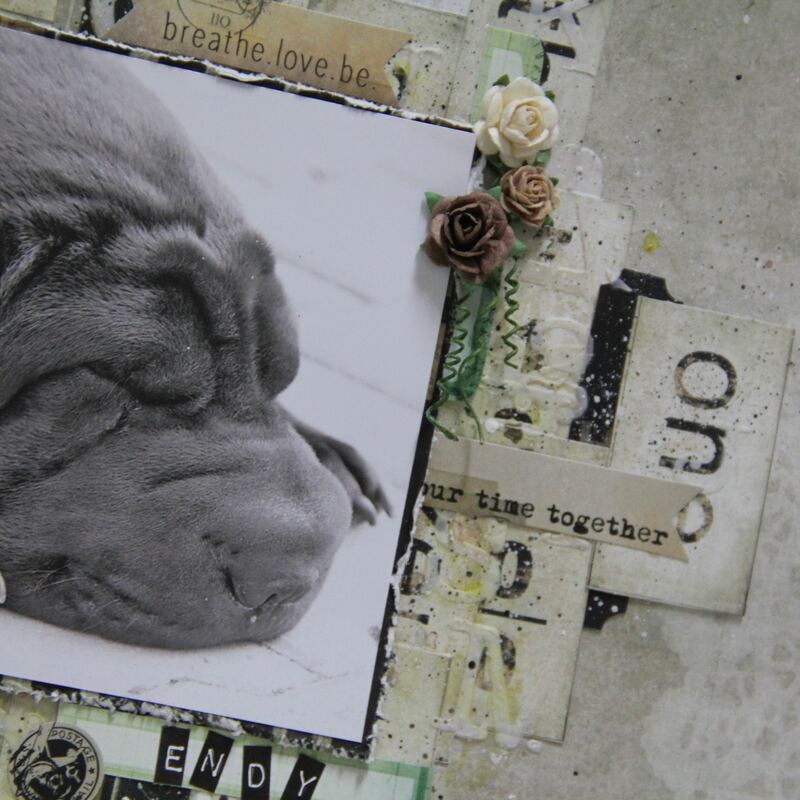 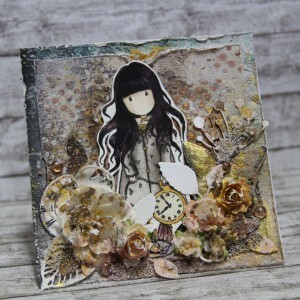 This entry was posted in Challenge and tagged 13arts, 7 dots studio, Challenge, Finnabair, Lindys Stamp Gang, stencil, Tattered Angel.